The Catalan ace is riding high in the Championship standings and finished second in Austria. He is 59 points clear of Valentino Rossi in second spot. However, Marquez has played down his chances ahead of the Silverstone showpiece this weekend. “Silverstone is a fast, technical track but our bike has very strong points, and we’ll try our best there as usual,” he said. “The track has been resurfaced, and that should be a good help in general for the performances. “We’ll see if that’s the case. “After quite a long time without the chance to ride in the rain, Austria confirmed that we can be fast in wet conditions, and that’s very good in view of a race in the UK! “At Silverstone, the weather is another opponent to take into account. 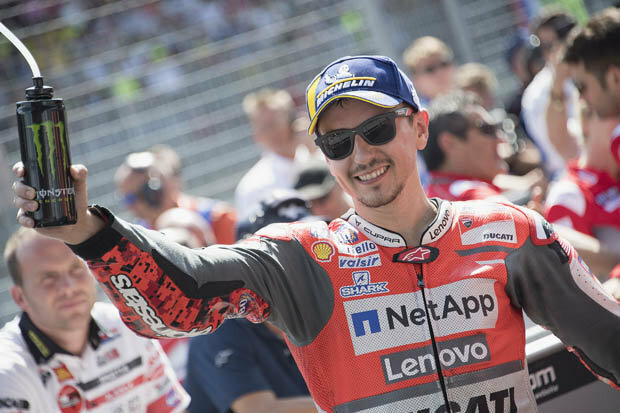 Jorge Lorenzo stormed to glory in Austria. 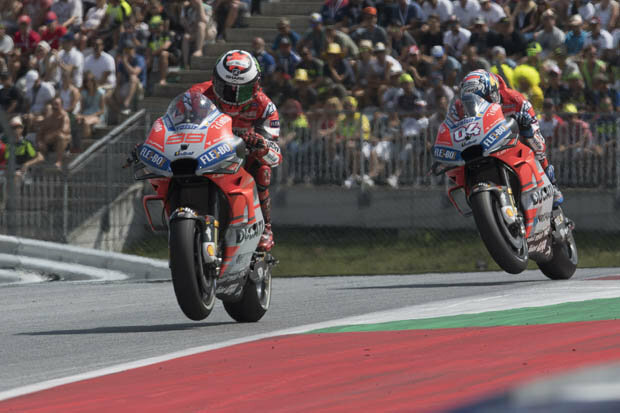 The Ducati ace has finally found form and secured his third win of the season at the Red Bull Ring. But Lorenzo is packing his bags and will link up with Marquez at Honda once the season ends. The experienced ace says he’s now ready to derail his compatriots title charge. 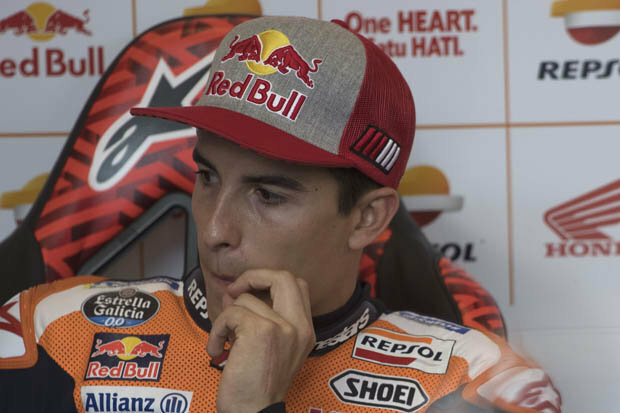 He said: “I think Marquez is the clear favourite, not only in terms of points but also his consistency. “We have had some tough races, like Assen and Sachsenring, and there’s one track where we will suffer – Phillip Island – but at the others we have the potential to fight for at least a podium. “My aim is to win as many races as possible and fight for second in the standings. “The title is not impossible, but it is difficult. I want to take it race by race”. Having joined Ducati from Yamaha in 2017, Lorenzo struggled to get to grips with the Desmosedici bike. He managed his first win for the icon Italian MotoGP brand at Mugello this season. The 31-year-old admits he’ll miss riding for Ducati despite the initial teething problems. He added: “Ducati is a big family. “The fans are proud of the brand and have a lot of respect for the riders. “I will miss these things from a human point of view.